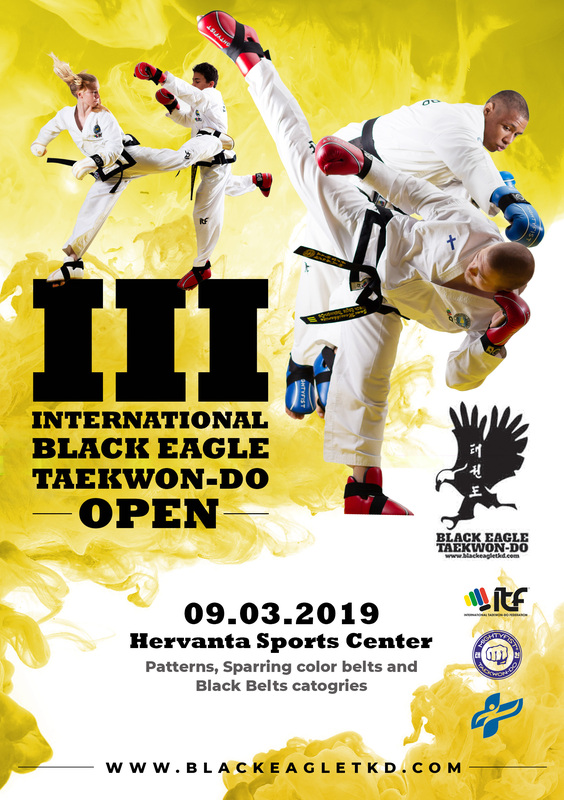 t is with great pleasure that I would like to invite you all to the 3rd edition of the Black Eagle International Taekwon-Do Open. The event will be held in Tampere on the 9th March 2019 and will include sparring and pattern categories with a pool system, to allow the maximum rounds for competitors. The World Championships being held in late April, this is a great opportunity for your teams to add an extra event to their preparation before the championships.